Fifty-year-old Sarah Larey died this date, March 19th, in 1840 and was buried at Bethel Burying Ground. Sarah Larey died this date, March 19th, in 1840 of Tuberculosis and was buried at Bethel Burying Ground. Born in New Jersey, she came to Philadelphia in 1813 when she was approximately thirty-three-year-old. It was reported on the death certificate that she was married, however, I haven’t been able to locate with certainty the name of that spouse. Ms. Larey lived with her family in Currant Alley, now Warnock Street. It is located between Locust and Spruce Streets between 10th and 11th Streets. Above is a photo of Warnock Street in 1926. Below is a photo of what Warnock Street looks like currently. Ms. Larey may have been witness to the “riot” that took place in her neighborhood during the summer of 1839. Forty-one-year-old George Hansen died this date, March 15th, in 1846 and was buried at Bethel Burying Ground. Forty-one-year-old George Hansen died this date, March 15th, in 1846 of heart disease and was buried at Bethel Burying Ground. He was born in Delaware in 1805 and moved to Philadelphia when he was eight years old. At the time of Mr. Hansen’s death, he was employed as a porter. His spouse, Mary Hansen, was employed as a domestic or “day worker.” It is not clear but they may have had a daughter. According to the 1838 Philadelphia African American Census, Ms. Hansen was born in Pennsylvania. Porters worked where ever something needed to be carried or hauled. Black men were employed in a variety of jobs from hotel porter to longshoremen on the docks of the Delaware and Schuylkill Rivers. They had to labor regardless if it was the steaming heat of the summer or the deadly cold of the winter. If you didn’t work, you didn’t get paid. If you didn’t get paid, the family didn’t eat or the rent wasn’t paid. The Hansen family resided on Mercer Street, a short, narrow thoroughfare near 10th and Locust Streets in south-central Philadelphia. They lived in one room for which they paid approximately $2.50 a month. Mr. Hansen would have made between $3 and $5 a week and Ms. Hansen $1-$2. Mercer Street was renamed Manship Street after the Civil War. It no longer exists. Mr. Hansen died at forty-one-years old. The average age of death for Black males during this period was approximately 44-45 years of age. George Hansen died on a warm and very windy March day. This was after two days of a strong storm that saw rainfall “in torrents” that flooded the city and put the Schuylkill River wharves under five feet of water. One-hundred-year-old Hester Brown died this date, March 5th, in 1861 and was buried at Bethel Burying Ground. Approximately one-hundred-year-old Hester Brown died this date, March 5th, in 1861 and was buried at Bethel Burying Ground. I have not been able to find more personal information than what is on the death certificate. Born in Delaware in approximately 1761, she was most likely born to an enslaved mother at the least. Ms. Brown is not listed in any U.S. censuses or the Philadelphia African American censuses of 1836 and 1847. I also could not locate her in the Philadelphia city directories. Her death certificate reports that she was employed as a laundress. There were no mentions of her in the local newspapers of the era. Ms. Brown lived in a room at 1017 Rodman Street, formerly known as Bonsall Street. Her address was at the southern limits of center city Philadelphia. The 900-1000 blocks of Rodman in 1861 was one of the thriving centers of African American family life. The LeCounts, Bolivars, Proctors, and Durhams, residents of those two blocks, were keystones in the building of educational, cultural, business, religious and civil rights institutions in 19th century Philadelphia. Perhaps none were more important as a role model than Hester Brown’s next door neighbor – The “Black Swan,” aka Elizabeth Taylor Greenfield. Elizabeth Taylor Greenfield was born into slavery on a Natzeh, Mississippi plantation in 1819. Her life story is an amazing testament to the human spirit. She became a prominent vocalist that was the first Black person to sing for royalty during a concert attended by Queen Victoria in England. During her career, she traveled to Europe, Canada, and throughout the United States, performing to large crowds in concert and recital settings. In the antebellum United States, her concerts were often under heavy police guard because of the racist threats. She would tour in the Spring and Summer and, during the rest of the year, she was a vocal teacher to budding Black men and women seeking a singing career. Ms. Hester Brown certainly would have heard the beautiful tones wafting down Rodman Street. Hester Brown died on a cold March day where the temperature briefly rose to 41 degrees. 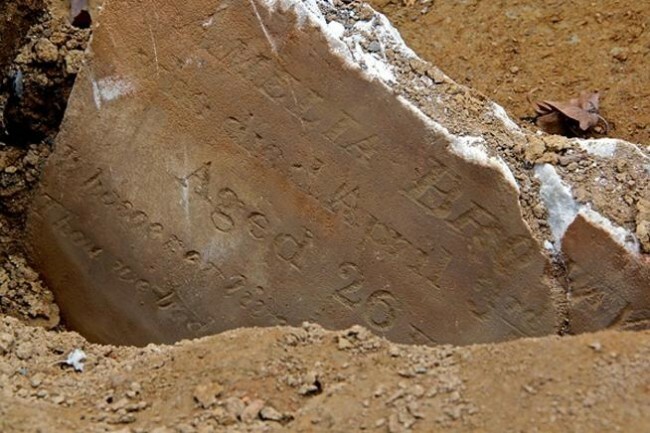 Ms. Brown was not buried at Bethel Burying Ground for ten days after her death. It is not possible to give a definitive reason for this. Sometimes, if the weather is bad and/or the ground is frozen solid, there could be a delay. That doesn’t appear to be the case with Ms. Brown after reviewing the weather in 1861 for the months of February and March. It could be that she was indigent and, likely, could not afford a burial plot and Bethel Church eventually stepped up. Coincidently, the funeral director, Thomas Allmond, who took care of Ms. Brown’s corpse, had his home and business at the same address as Ms. Brown, according to the 1860 city directory. Per the death certificate by 1861, he had moved down Rodman Street to 1027.